Can a Benign Mole Get Bigger, Change Color and Shape? Warning signs for skin cancer include changing shape and colors in a pre-existing mole, as well as getting bigger. However, can a benign mole undergo such changes? 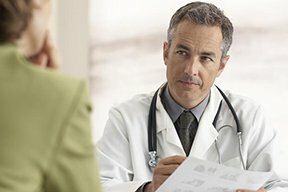 I was motivated to write this article after seeing a photo of a large mole on a person’s back that was on a website for digital serial dermoscopy. The serial images showed the mole changing and getting bigger in size, but the diagnosis ultimately was benign. This is quite surprising. I then read a post in a thread about melanoma and moles, and the poster said that she had a mole that had become irregular in shape and multi-colored, but that the biopsy said it was benign. Could a lab error be involved? How does a mole behave this way yet be benign? Let’s exclude some causes of changes in moles such as pregnancy and rubbing from clothes. I presented these questions to Dr. David Rahimi, MD, F.A.A.D., a board-certified dermatologist and cosmetic surgeon, and founder of Forever Young, Inc.
Atypia refers to cells that are not typical and thus more likely than typical cells to ever become cancerous. If some of your moles have been identified as being atypical, you can always request that they be removed and biopsied for peace of mind, though sometimes a dermatologist will be the first to make this recommendation. Dr. Rahimi is the founder of Forever Young, Inc.
Are Flat Moles Safer than Raised or Equally Prone to Melanoma? 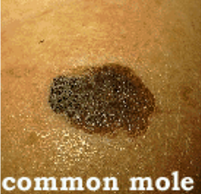 One Mole On Top of Another: Benign or Melanoma?